Robert Spillar serves as the City of Austin Transportation Director. As the lead mobility professional for the City of Austin, he is responsible for the City’s multi-modal transportation portfolio, Vision Zero, Transportation Demand Management, Special Events and Parking Enterprise operations. Under Spillar’s leadership, the City of Austin was a finalist in the U.S. DOT Smart City Challenge and recently published Austin’s Smart Mobility Roadmap – a guide to shared, electric and autonomous mobility for Central Texas. Spillar has upgraded Austin’s signal systems with intelligent transportation technologies, championed an open data policy that fosters innovation, and modernized the City’s parking management system to produce a strong revenue stream for the department. His department piloted and facilitated the launch Car-2-Go car sharing program in North America. This system uses an innovative minute-by-minute rental concept, now used by other mobility sharing technologies. Under his leadership, Austin created progressive regulations that resulted in an open competitive market for transportation network companies (TNCs), allowing at one time as many as 10 independent ridesharing companies to operate within Austin. Spillar crafted and is actively directing nearly a billion dollars in voter approved, multi-modal transportation bond improvements. He has also introduced innovative financing concepts, used by a variety of agencies in Central Texas to meet the mobility challenges of the region. 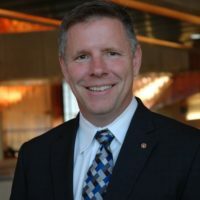 Prior to the City of Austin, Spillar served as Vice President with Parsons Brinckerhoff (now WSP) and as the Director of Traffic Management for the City of Seattle. Robert holds a Bachelor and Master’s of Civil Engineering from the Universities of Texas and Washington respectively. He is a registered engineer. In 1995 he was named a William Barclay Parsons Fellow, publishing a national guide on Park-and-Ride Planning and Design, a publication that has been adopted by the American Association of State Highway and Transportation Officials (AASHTO) as part of their current park-and-ride planning and design guidelines. Spillar is an experienced transit program planner having worked on a range of related projects including Sound Transit in Seattle, WA; Tri-Met Rail and Transit projects in Portland, OR. He is also an experienced highway and roadway infrastructure development planner, having led the development of the Katy Freeway Reconstruction Major Investment Concept and serving as the public outreach lead on the Dome to Downtown Light Rail project in Houston, TX. In Seattle, his mobility planning and oversight additionally allowed for transformative projects including: the approval of the Seattle Trolley, continuous transit-only lanes on Aurora North, the removal of the Aurora Viaduct (under construction), expansion of the regional park-and-ride system, and reconfiguration of many of the primary roadways feeding downtown.